Yes, you read that correctly. I’ll be doing a dog seat cover review, but the giveaway is something else entirely. I like the seat cover and am keeping it. So there. Lookit! 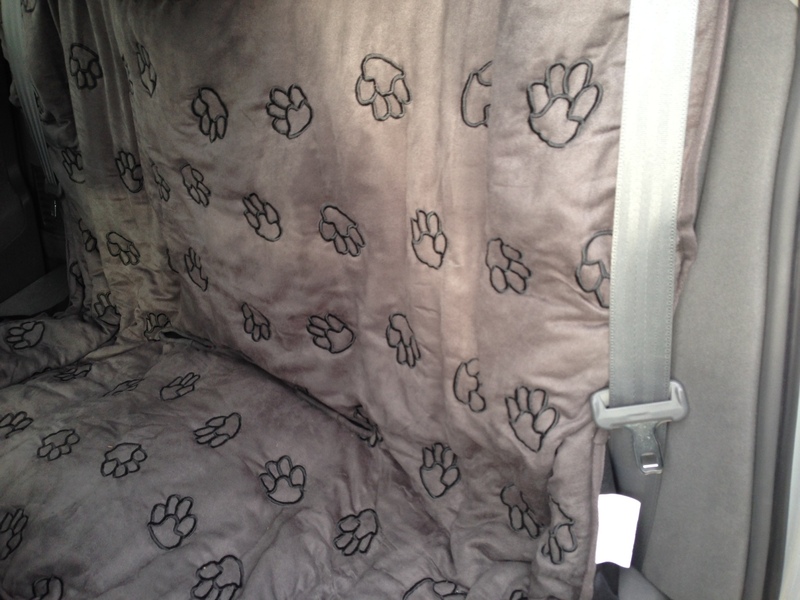 The dream seat – I LOVE THIS SEAT COVER! The color matches the interior of my car! Dawn says I can toss it in the wash, but let it dry flat. I am in LOVE with this seat cover! My dogs don’t have accidents in the car, but they shed like CRAZY, and even the vacuum doesn’t pull out all the hair. Having a fitted cover is so EXCITING! The Guardian Gear seat cover keeps dog hair off the seats! Shoot, I wish I’d had one of these seat covers years ago. Can you imagine, just as a mom, having a soft, waterproof cover for the back seat of the car? That would ROCK! Not just potty accidents, but drinks spilled, food, whatever. Psh, I could put the dogs in the car and give them a Windee and not have to worry about any grease or crumbs! The Lowrys are starting a new life, moving to the quiet Northern California town of Placerville … they’ve left the big city behind for the slower pace offered by a new home in the countryside. But when they are “adopted” by a clever yet lovable stray Golden Retriever, their lives change in ways they never imagined. It’s not long before the Lowrys discover that “Pilot” is pregnant. 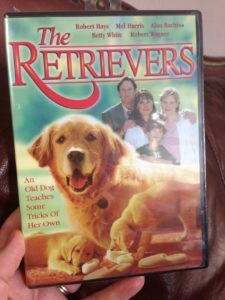 But when it when it comes time to find new homes for the puppies, the Lowrys learn how hard it can be to say goodbye … and how a determined Golden Retriever can show them a thing or two about the bonds of family. Pilot wants her puppies back! 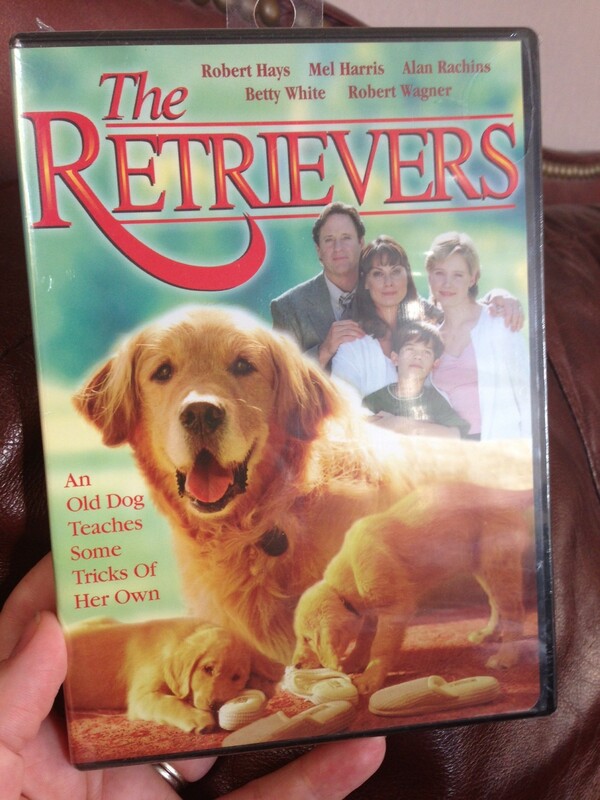 Can the Lowrys retrieve the Retrievers from the wacky cast of characters that adopted them? Oh my. Sounds like a recipe for disaster. Well, given that Robert Hays is the star, it couldn’t be anything else. 😉 I’d love it if the winner let me know if it’s a good movie. This giveaway is open until Sunday the 20th at noon, CST (Tulsa) time. Just leave a comment for a chance to win the DVD. I’ll announce the winner on Monday.